Box jumps are a bit of a athletic status symbol, with professional athletes or otherwise very fit people posting videos of themselves leaping like gazelles straight up onto chest-high platforms. These flat-footed rocket launches are incredible feats, no doubt. 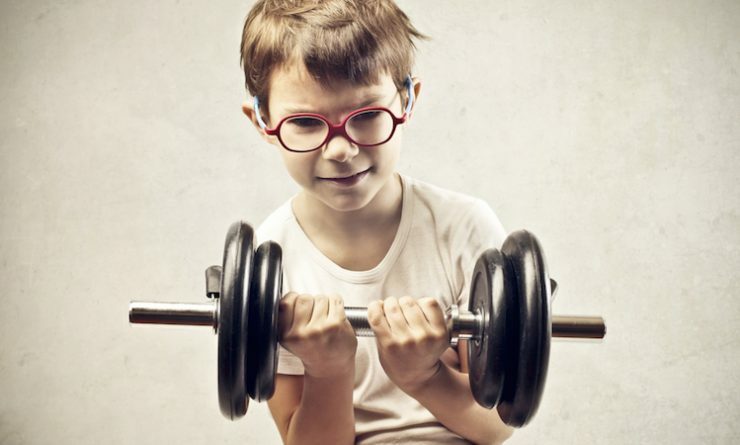 But determining their worth for the average gym-goer is a little harder to nail down. This exercise is good for fast-twitch muscle fibers. It activates certain parts of your muscular system that are not activated during leg presses, squats, and other leg workouts. The landing portion of this exercise can put healthy stress on your body that can prevent future injury. The exercise as a whole is great for building athleticism and balance that will help you in many other daily activities. Lastly, this exercise is hard. It is great for getting a sweat on, and for getting that heart rate up quickly. Start with a low height, and move up until you feel challenged. Some choose to immediately find their maximum height, but this is a mistake. The benefits of this exercise come as you master proper form in the multiple stages of the jump, not when you hit a certain number of inches. For the jump, start with feet shoulder-width apart. The pre-jump squat doesn’t need to be too deep. The hands should come back and explode up as the quads and calves are engaged. The landing, both on top and on bottom, should be soft and controlled, with the jumper maintaining balance, landing in the initial jumping position, with hands at pocket level, slightly away from the body for balance. If the top landing is too hard, your box may be too low, or you may need more reps to get things under control. If your landing on top or bottom leaves you falling off balance, try going a bit lower. Some people do repeated box jumps in a set, where they’ll land and immediately jump up again. This puts a strain on your knees and tibia, especially if you’re jumping high. If you want to try this, do a low height, and make sure you’re maintaining balance, and land in the athletic position that you started in. Box jumping makes a fun contest between friends, but its value in becoming fit isn’t out of this world. 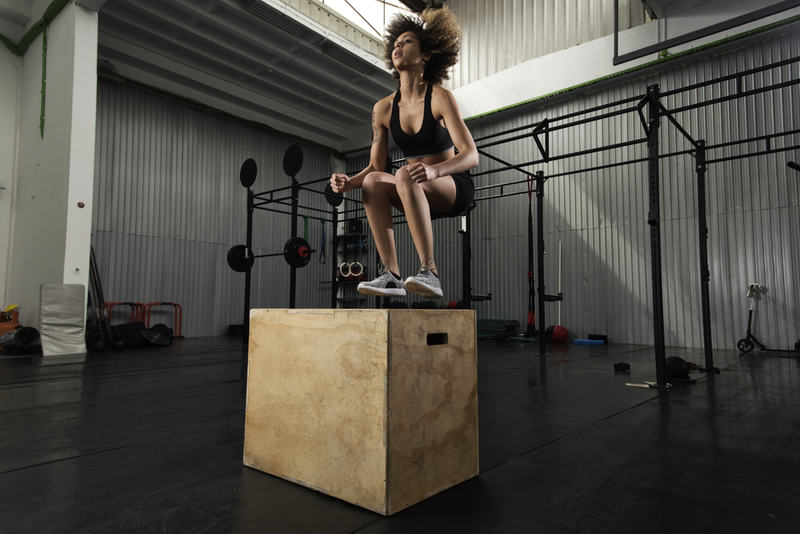 Mastering box jumps will make you a better athlete, but since many of us are more worried about love handles than athletic prowess, box jumps don’t need to take priority. Perhaps most importantly, it’s easy to get hurt doing box jumps. If you do them regularly, you’re almost guaranteed to bash your shins or take a fall. And lastly, you aren’t actually proving much by doing a high box jump. True vertical is measured by how high you can reach, not how high you can bend your knees in a jump. Next Princesses and Superheroes: Unhelpful Role Models?